10 blades stopping down to f/45. f/4.5: A fair bit soft with very heavy chromatic and spherical aberration causing low contrast. f/5: Sharpens up quite a bit but still a little soft. Decent contrast with way less chromatic and spherical aberration. f/5.6: Sharpens up pretty nice with better contrast. 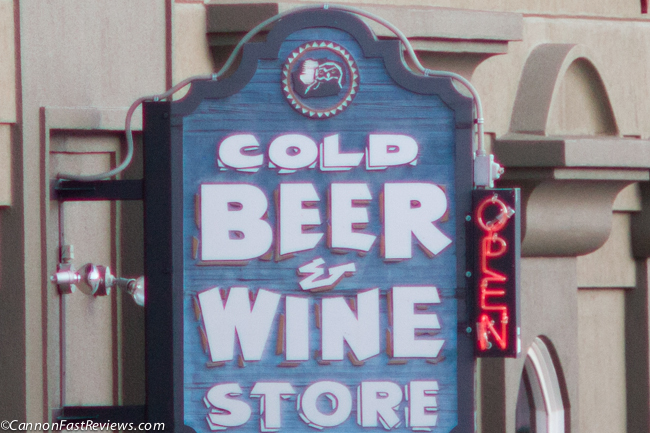 Chromatic aberration never really leaves the lens until f/11 area but is not as bad. f/7.1: Pretty sharp with less CA. f/8: Very sharp with almost no CA. From here on the lens becomes really sharp with lots of nice contrast. 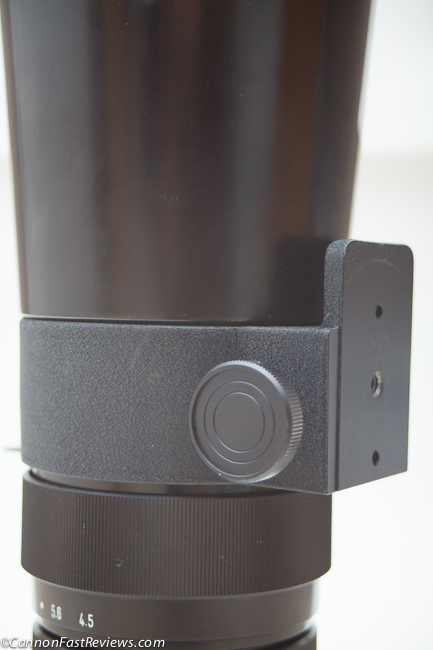 One of the best features of the lens is that it has very low vignetting. At f/4.5 it is visible but quickly vanishes around f/5-5.6. Fantastic Bokeh and very smooth. Weapon or lens? My copy was originally from the RCMP and when I received it I wasn’t sure if it was a confiscated weapon or a crazy huge lens! 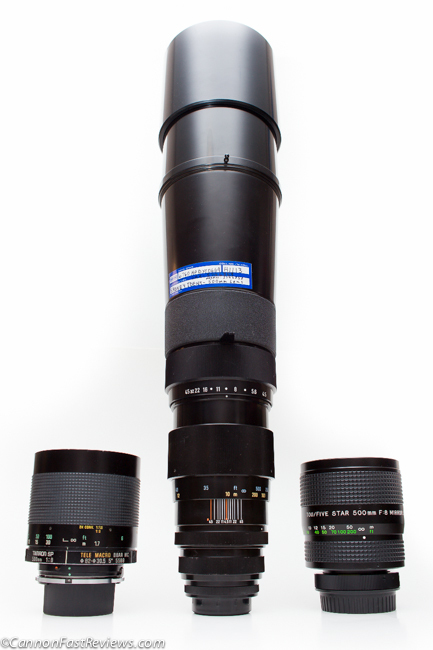 This tank of a lens is extremely well built with massive optics. 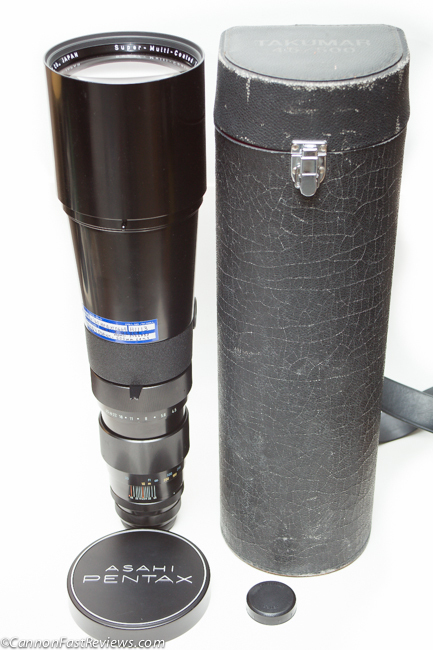 Shown above is this lens beside two other 500mm, which appear dwarfed by this monster. It is a real privilege to get to handle such a well built lens which Pentax was famous for when they used to use all metal parts. The focus is very smooth and tight. 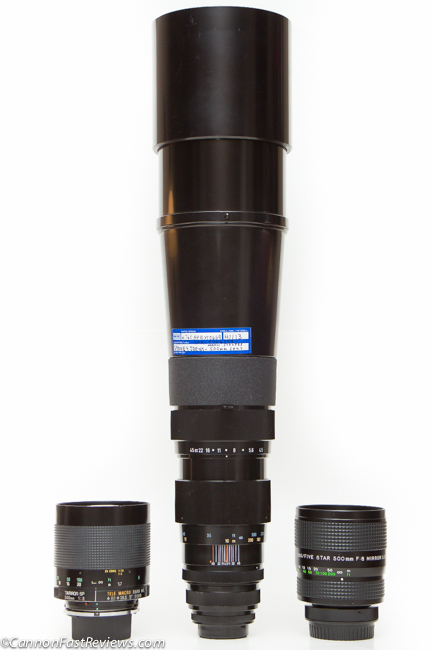 This lens features an alignment sight, rotatable tripod mount and a built in retractable lens hood! 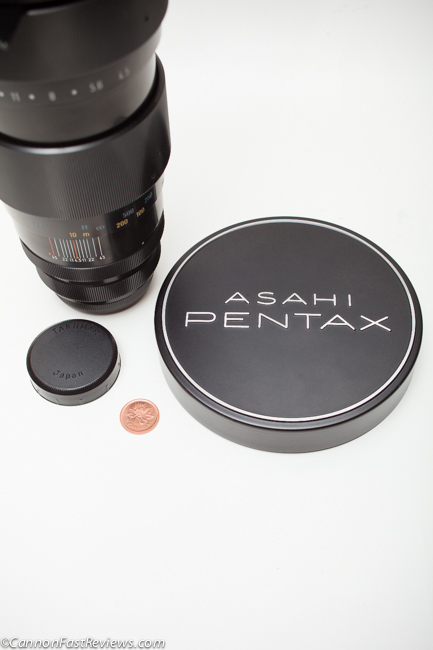 Optically this lens is great with amazing bokeh, low distortion and vignetting. 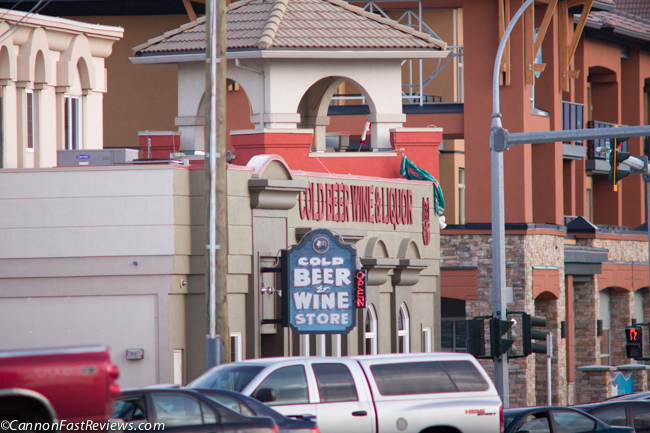 The main downfall of this lens is the very high amount of chromatic aberration. The chromatic aberration which takes a huge hit on the optic’s contrast which produces almost unusable images when shot wide open and in lots of light. Stop the lens down a bit for better quality. 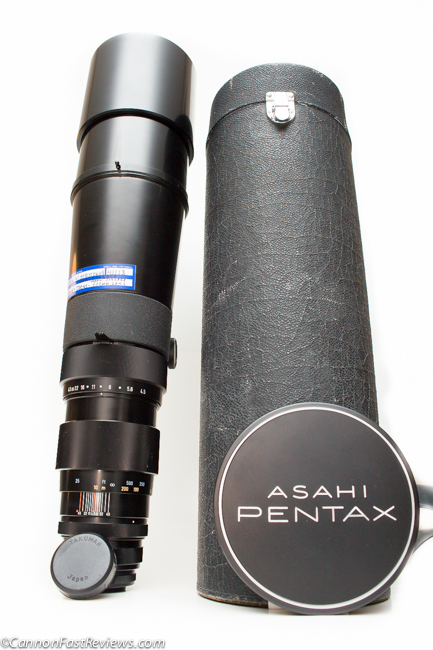 My two main concerns is that this lens, being so heavy, tends to get separation wobble in the second last section near the mount. This is caused by the body hanging off the back. Mine had this and to disassemble and reassemble took me about one hour. You have to take almost the entire lens apart to find three screws that came loose. Once they are tightened, the lens becomes a dream. 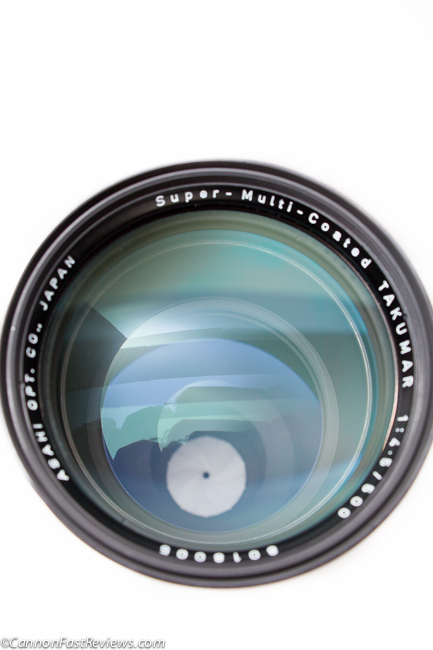 Also the lens has a great design. The rear mount is held on with a bayonet mount so that you can take the mount off, fix it to the body, and place the camera back on the lens without taking it off the tripod. 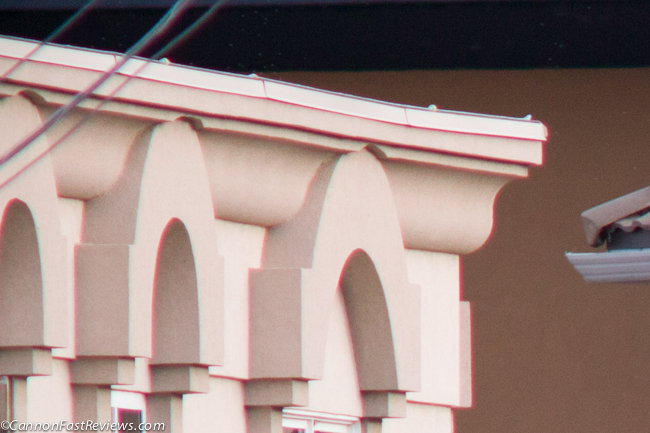 However when you use a M42 adapter for other camera bodies they tend to not always align perfectly. 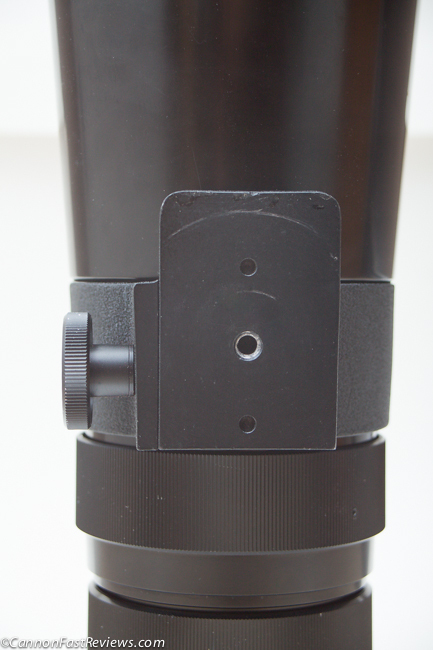 This means you have to turn the bayonet mount to get the body straight or you will have to turn the lens. The problem with this is that the bayonet mount can miss, so be very careful when tightening the bayonet mount or your camera will hit the floor. 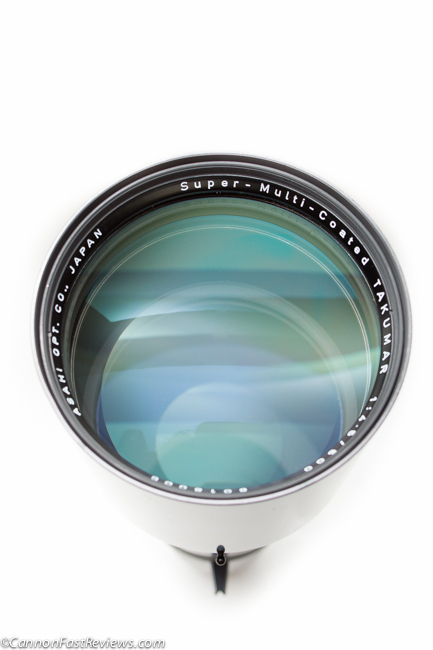 These lenses range all over the map in price and I have seen them sell anywhere from $200-$900. I loved shooting this lens but it is very heavy to move around. I tried to hand hold it and shoot for fun but that can only last about three minutes! Ha ha!! If you can find one for a good price and want to show off to all your friends then this lens is a ton of fun. 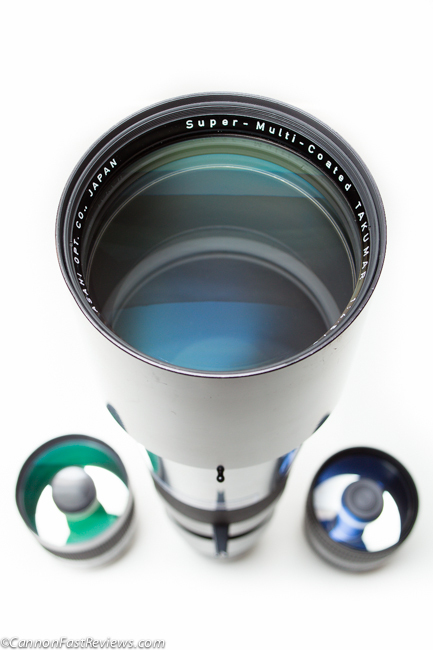 However, practically this lens is not the greatest due to the heavy chromatic aberration and weight. If you can find a low priced one with the wobble and you’re mechanically talented then it is definitely worth grabbing one and repairing. 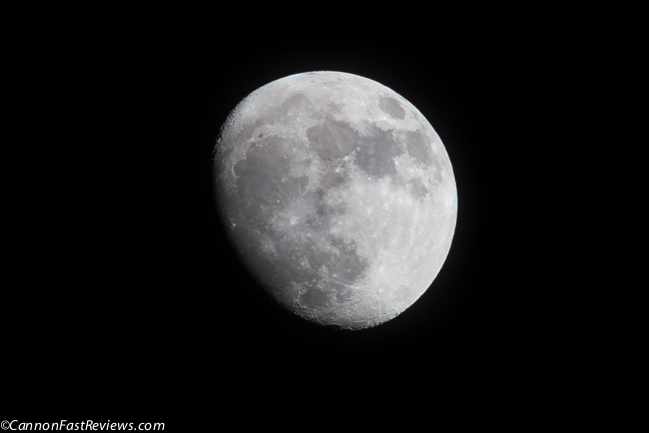 Here are some quick shots of the moon and an osprey I shot hand held to see what was possible.